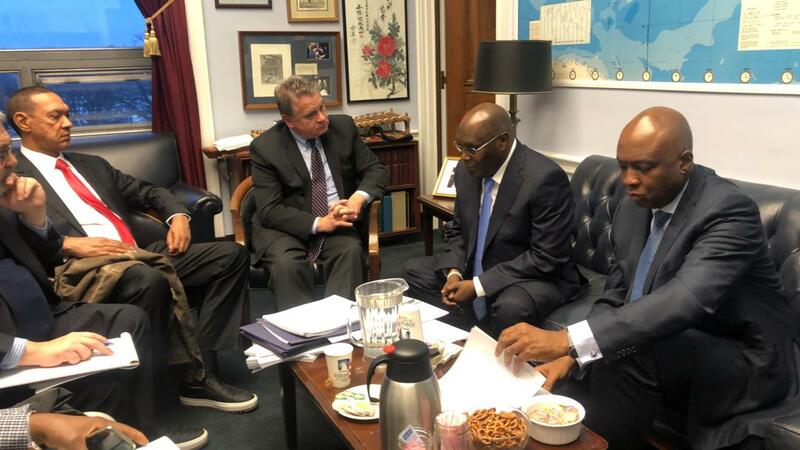 Atiku Abubakar, the Presidential candidate of the Peoples Democratic Party (PDP), will arrive the United States any moment from now, crossing one of the most serious political hurdles on his path ahead of the upcoming general elections, Owojela’s Blog reports. Mr Abubakar, sources said, left Nigeria early today, and is expected to land in Washington D.C., the American capital, ending a 12-year deprivation of visa to a country in which he once lived and owned properties. Campaign sources told the Media Thursday evening that Mr Abubakar would be speaking at a forum by the American Chamber of Commerce in Washington D.C. and attend other meetings aimed at boosting his presidential election standing. Mr Abubakar’s arrival in the U.S. may rattle the ruling All Progressives Congress, which has taunted him for his inability to enter the U.S. for over a decade. Owojela's Blog reported last year that Mr Abubakar sold his estate in the United States, following his inability to enter the country. He denied that his inability to enter the U.S. informed the sale, saying he only sold the mansion because he no longer needed it as he was now fully based in Nigeria. Mr Abubakar’s visa appears to have come through the intervention of Mr Obasanjo, with whom he recently settled decade-old dispute ahead of the 2019 elections. Mr Obasanjo wants President Muhammadu Buhari out of office, after accusing him of displaying incompetence in the face of myriads issues confronting the country. Party insiders told the Media U.S. authorities made it clear that Mr Abubakar was issued visa without preconditions, meaning he would not be detained or harrassed in any way if he entered the country. Mr Abubakar received a U.S. visa last December, sources said. The ruling APC warned the U.S. government against granting Mr Abubakar a visa, saying it could tip the outcome of the upcoming presidential elections. Mr Abubakar, however, kept his cool, refusing to join issues with the opposition party, until today when he quietly entered the United States.